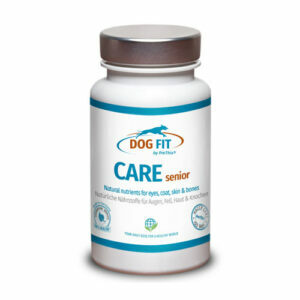 The highly concentrated natural collagen in this supplementary food for dogs ensures but also the regeneration of damaged tissue is already important articular cartilage of the dog and can result in a long-term joint health into old age. In collagen is a so-called structural protein in the articular cartilage of the dogs for the important task that for the formation of very high tensile and elastic fibers. These collagen fibers shall in turn to the general function of the articular cartilage, the compensation of the different load agents, without which the joints of the dogs within a very short time have irreparable damage. Under certain circumstances it may be in the body of the dogs to a collagen deficit, which is also the cartilage and after previous form, as for the preservation of the collagen fibers also a regular supply with this structural protein is important. The so-called joint wear,as soon as the cartilage by a lack of collagen in the body of the dogs back, increases the risk of extremely painful joint diseases such as arthritis. This considerable risks for the joints of the dogs can use DOG FIT by PreThis® JOINTS collagen very well be countered because these additional food for dogs contains the important structural protein collagen in an optimized dosage for dogs. Use this high and still very good contractual nutrient concentration can be both an already educated cartilage and the associated joint problems by the formation of new collagen fibers to regenerate as well as a decline in cartilage and pain in the joints can be avoided in advance. In the special dietary supplement for dogs DOG FIT by PreThis® JOINTS collagen are exclusively according to ISO 9001 / 9002 certified ingredients! 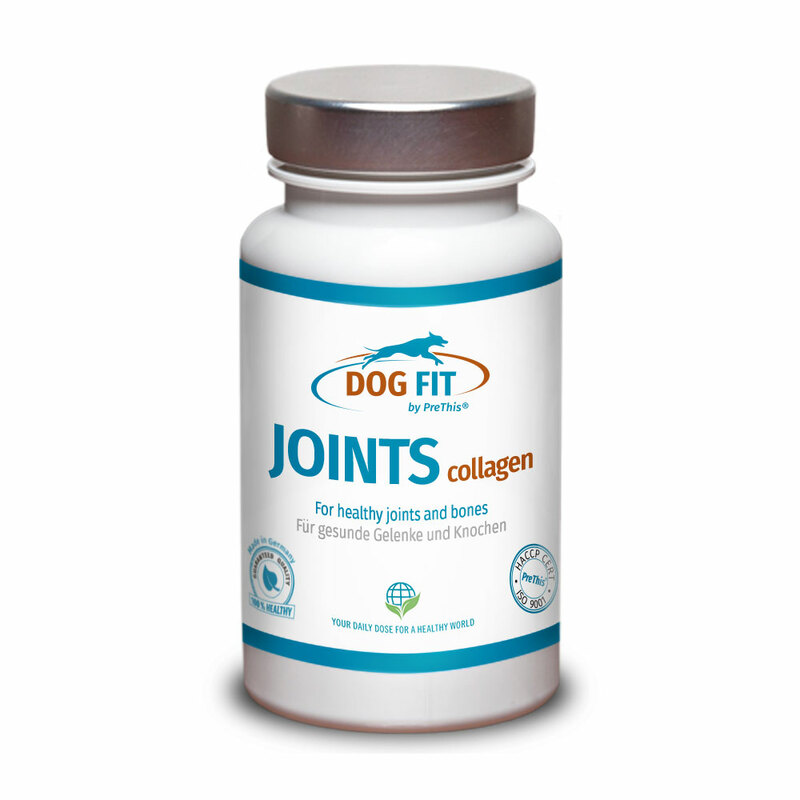 Order your DOG FIT by PreThis® JOINTS collagen now! Category: Products. Tags: collagen, collagen hunde, kollagen gelenke, prethis collagen.